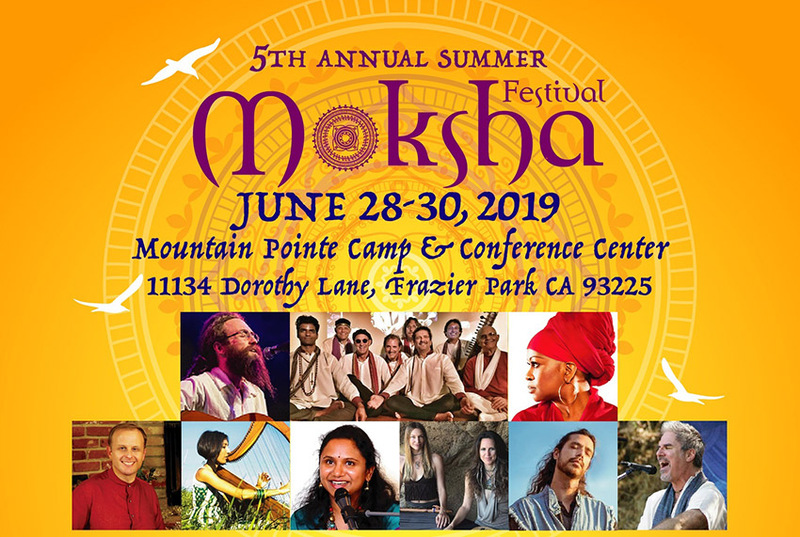 Moksha festival is a celebration of wellness, spiritual expansion and conscious living through: Yoga, Ayurveda, Jyotish, Vaastu, Sacred Music and Spiritual Art. The festival is organized in Frazier Park in Southern California an in the San Fracisco Bay area in Northern California. The festival is an initiative of Yoga Next, a California based non-profit (a 501c3 ), public benefit corporation. 3 - 4 Sacred Music concerts/Kirtasn every day. © 2019 BrightStar Live Events on behalf of Yoga Next. All sales are final. Tickets are non-refundable.